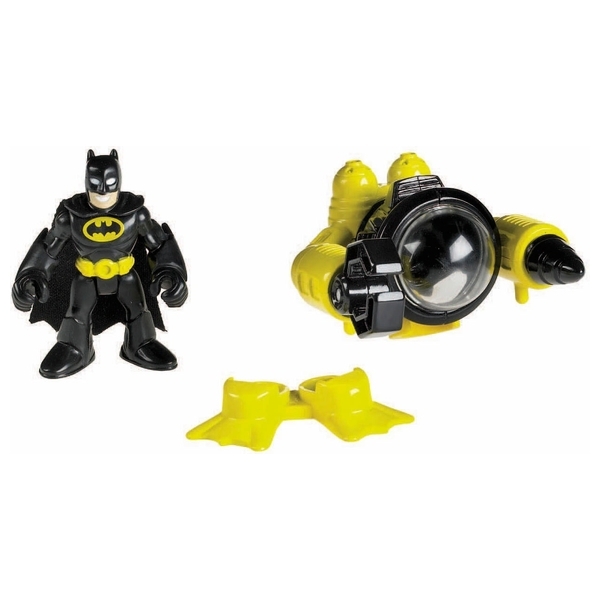 Fisher-Price Imaginext DC Super Friends Batman is ready for any adventure even under the sea! This cool submarine suit helps Batman dive right into the action, and helps kids dive deep into their imaginations. Open and close the mechanical claw or turn the drill for spinning action!